For most businesses, an online presence is vital to the growth of the business. For those businesses that depend on their websites for nearly every aspect of the business, there is need for a dedicated server. A dedicated server is a physical server that is only available for one user and is only used to host websites that belong to that customer. One of the most important aspects of websites hosted on a dedicated server is that they can have a huge amount of data and database. Because of its make up a dedicated server provides the best type of hosting for any website or organization. But it is out of reach for most businesses because of the cost associated with the service. On a server that you are not sharing with anyone, your websites remain on their own safe zone and are unaffected by other websites. The same is not true if for instance you were to host your websites on a standard server. In this case, it is likely that you will be competing for resources with over 300 other websites which can significantly reduce your website’s speed and efficiency. It is perhaps the most important benefit of dedicated server. Because you are not sharing the server with other websites, the safety of your data is guaranteed. For a website or business with sensitive information, a dedicated server is the only way to go. In case you choose a managed dedicated server, you will benefit from extensive and priority customer service. Most service providers will offer you numerous ways to get in touch with technical support and will be available to you at all times of the day. Because of sometimes the unlimited space you get on a dedicated server, your website has unlimited opportunities to upgrade. To your business, this means you can easily and very quickly make new information and new products available on the website without having to worry about the deployment of the new information. This ability for easy and quick upgrades is made possible by the availability of enough space and bandwidth. Perhaps the only disadvantage of dedicated servers is the cost although most businesses see the cost as a fair trade off when considering the data security dedicated server provides. If you are launching a business that will require more than one website, it may be a good idea to choose a dedicated server than a shared one. 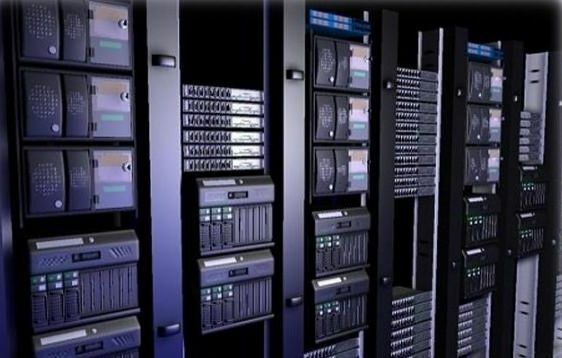 A dedicated server will give you more control and ensure that your websites will not need to compete for resources. Dedicated servers may not be for you if you are launching only one website like a personal blog or a simple online store.